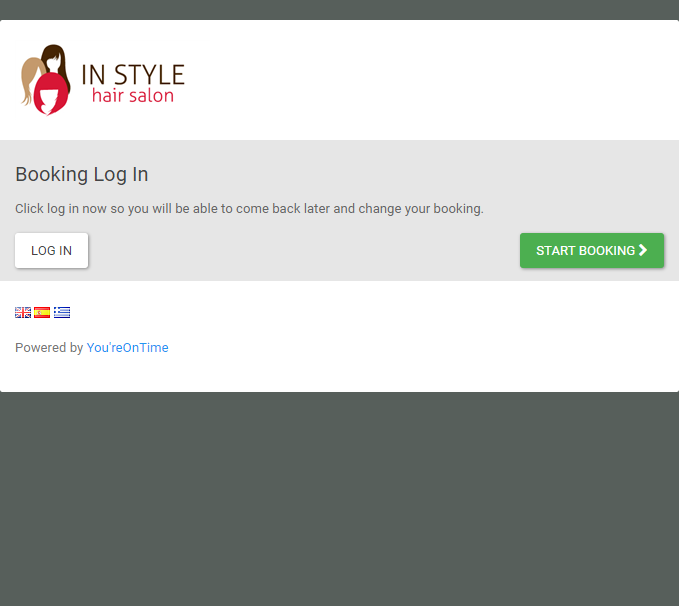 Using the online booking is very easy for your clients, here is a preview of every step. 1. The opening page of the booking. 2. 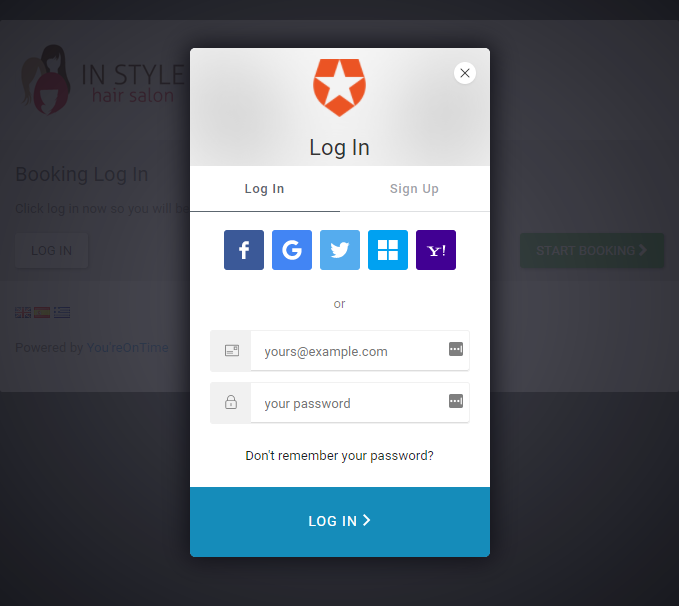 Click Log In to create an account or use your social media login to ensure your booking is connected to your client record and avoid duplicate clients. 3. 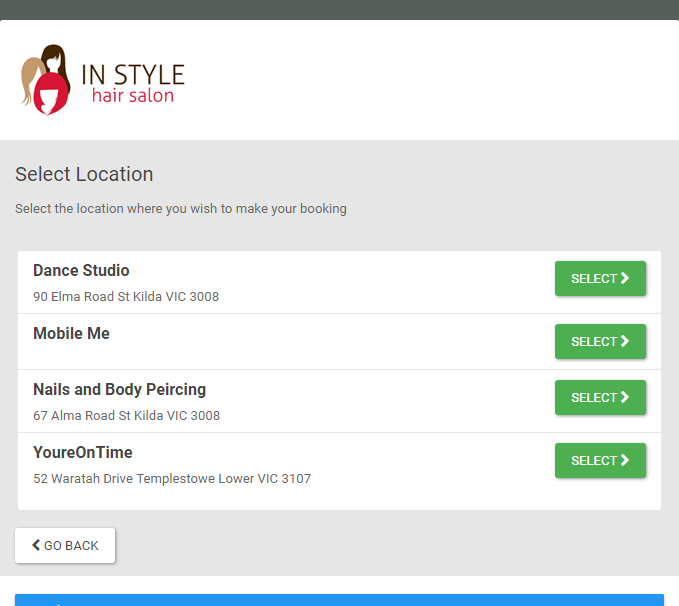 If your business has multiple locations you can select one now. If it has only one this step will be skipped. 4. Choose one or more services that you want to make a booking for. 5. 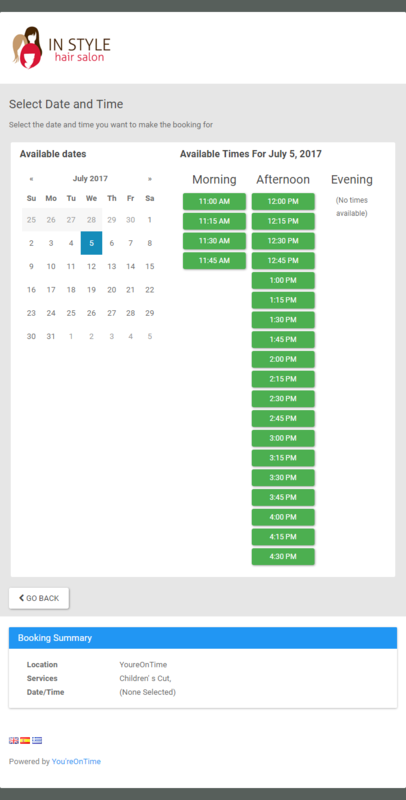 Select the date and time you want to make a booking based on the available time slots. 6. 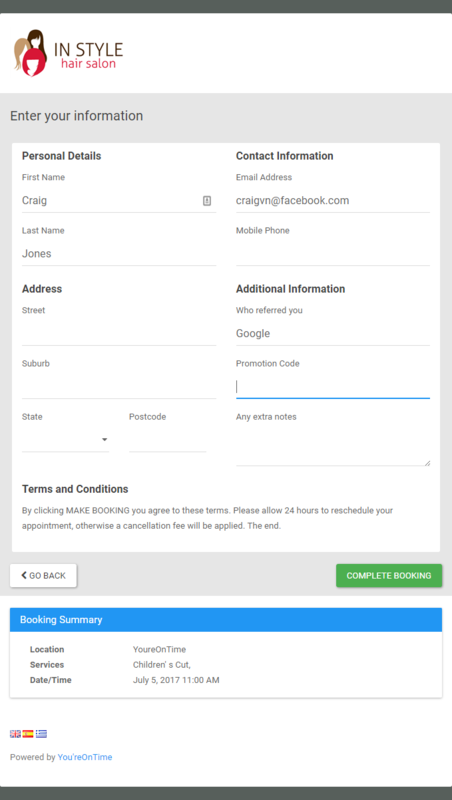 Enter your name and other details required for the booking. 7. 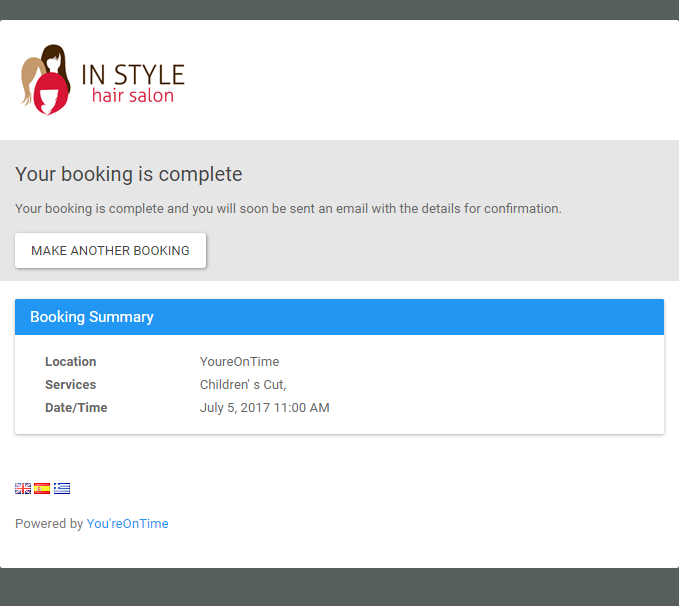 Your booking is now complete.